The rollout of the latest campaign against Planned Parenthood follows a familiar game plan, including coordination between an anti-choice activist group and Republican lawmakers. 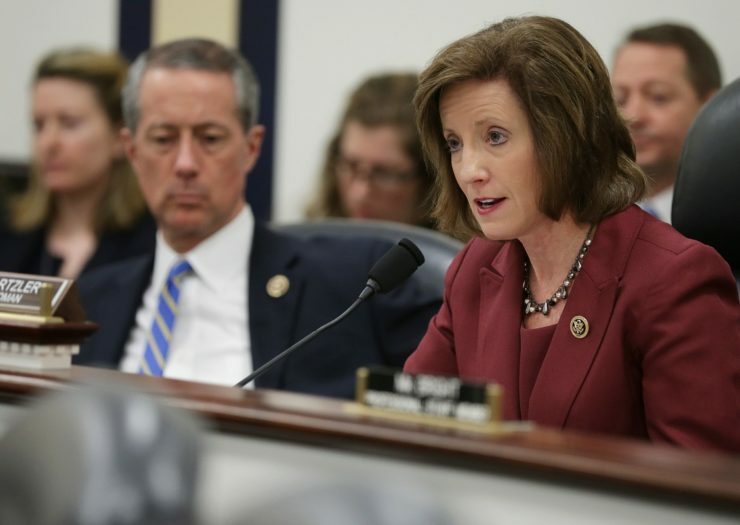 Rep. Vicky Hartzler (R-MO) led a group of Republican lawmakers in calling for investigations into Planned Parenthood. Members of Congress, including U.S. Reps. Vicky Hartzler (R-MO) and Steve King (R-IA), held a press conference Thursday to announce a letter signed by 56 GOP lawmakers calling for investigations into a report from discredited anti-choice group Live Action Network accusing Planned Parenthood of covering up child sexual abuse. Live Action Network founder Lila Rose and Laura Lederer, former senior advisor on trafficking in persons at the U.S. State Department, spoke at the press conference. The latest anti-choice campaign against Planned Parenthood follows a familiar game plan, including coordination between an anti-choice activist group and Republican lawmakers. This round of attacks come as the Trump administration looks to reinstate an anti-choice restriction blocking federal family planning funds from organizations that provide abortion services in the same location as Title X-funded services. The letter, sent to U.S. Health and Human Services (HHS) Secretary Alex Azar, makes the case for investigating and defunding Planned Parenthood. “The report’s findings suggest that abusers feel comfortable taking their victims to Planned Parenthood. We are therefore requesting an investigation into Title X recipients, particularly Planned Parenthood, to determine how widespread this failure is and if there are other instances where Planned Parenthood failed in it’s duty to report suspected child abuse to local authorities and to HHS,” the letter said. The Live Action report, which was released last week and prompted the letter to Azar, includes discredited and extensively edited “sting” footage originally reported in 2008 and 2011. The dubious nature of the videos didn’t stop Rep. Mark Walker (R-NC) from expressing shock at the years-old footage. “While certainly astonishing news, sadly I wish I could say that Live Action’s recent report is actually surprising,” he said during Thursday’s presser. Walker called for an investigation into Planned Parenthood and suggested potential criminal prosecution. The heavily-edited Live Action video was debunked by Media Matters upon its release in 2011. Despite a 1999 law clarifying that Title X recipients are not exempt from state laws requiring the reporting of child and sexual abuse as well as human trafficking, the Trump administration’s proposed changes to Title X includes a provision to “address explicitly the requirement for Title X projects to comply with all State and local laws” in regards to reporting potential abuse. Citing the debunked Live Action videos, the letter to Azar supports the Trump administration’s proposed Title X rules—even though the requirement appears to have been on the books for nearly 20 years and was reiterated in 2014 guidelines.